Година: 2017 10 x 60 мин. An old rival turns up selling antiques but Frankie\'s convinced it\'s a scam. The team tries to prove it before she takes the money and runs. The team investigates a kidnapping gone wrong at the Palais Royale. They learn that the victim is gravely ill and race to find him and save his life. Mary is acting in a radio drama, but when she realizes the play is a cover for a heist, she must find a way to warn Frankie. Donations are stolen from a coloured girls\' orphanage and civil rights her Marcus Garvey hires the team to catch the thief and find the cash. 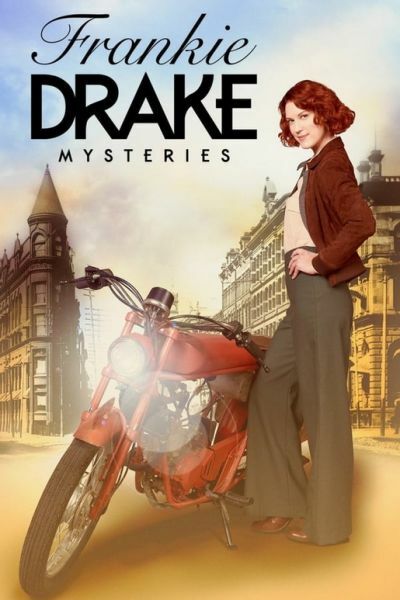 Famed French designer Coco Chanel is the target of a brazen assassination attempt and Drake Private Detectives are hired to protect her. Frankie investigates the mid game death of a baseball player. Mary’s job is threatened when she accuses Detective Greyson of hiding evidence. What starts as a simple case of a missing horse leads the team into the gardens of Toronto’s elite in pursuit of a murderous jewel thief. Frankie and Trudy reluctantly take a case from mob boss Bessie Starkman, but things take a turn when Frankie\'s accused of murdering a mole. When a magician\'s assistant is killed, Frankie goes undercover to find the culprit. But can she see clearly through the smoke and mirrors?